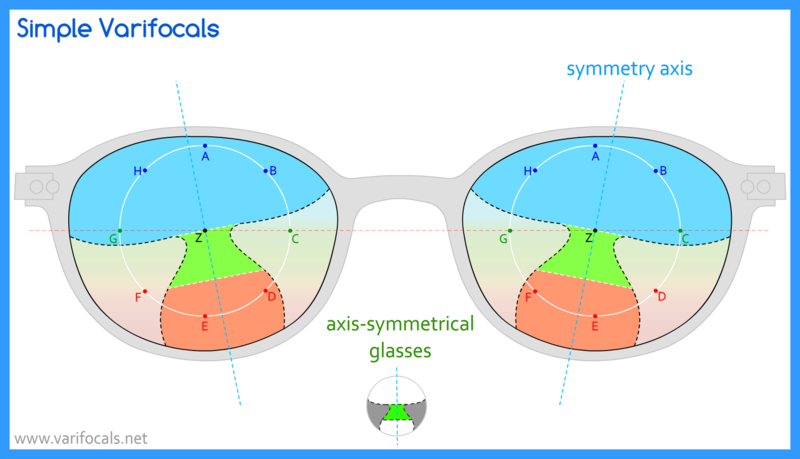 A varifocal lens is divided into three zones: the upper area is optimized for the distance, the lower area corrects the close-up view (reading distance). The zone in between is fluid / gliding and is optimal for intermediate distance. That's why they are also called progressive lenses. 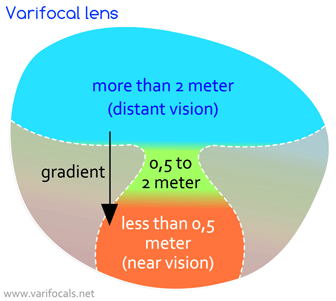 Varifocal Lenses (varifocals) are used as glasses in frames or as contact lenses. Over time, the eyesight of the eye deteriorates - one becomes presbyopic. 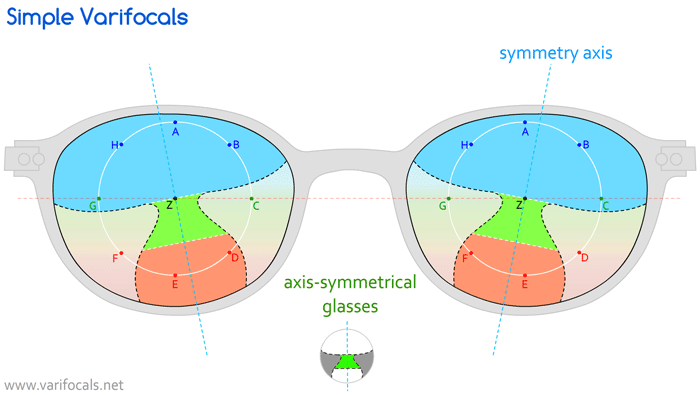 The reason for this is a decreasing flexibility of the eye lens. This hardening of the lens leads to a diminished accommodation capacity of the eye - which in turn means that it is no longer possible to see clearly at close range. Reading glasses are therefore required for close-up vision. Varifocals can correct several vision impairments with one pair of glasses. 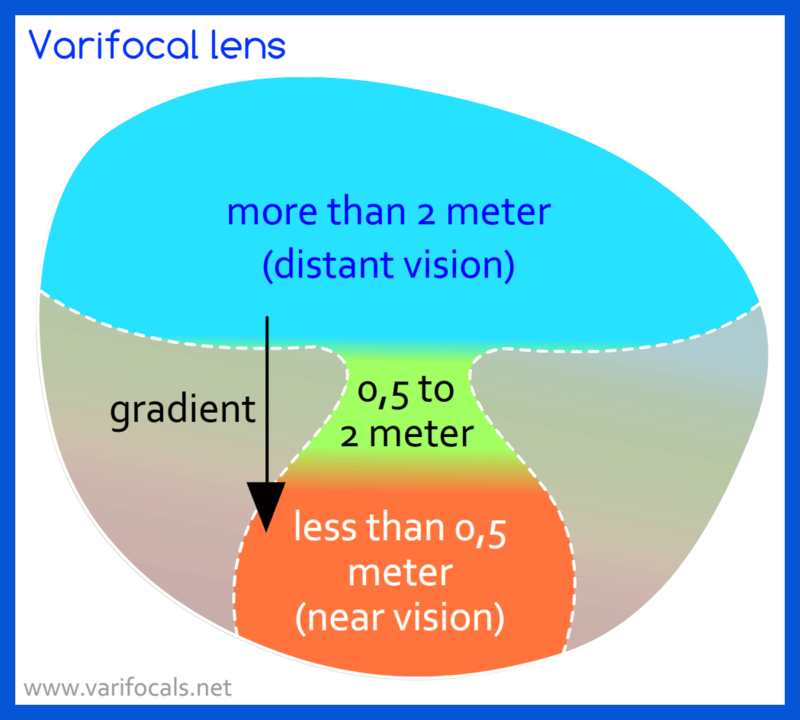 What is a varifocal lens glasses? At what age and with which visual acuity are varifocals useful or even necessary? For people with myopia (short-sightedness) a problem arises from a certain age: for long-distance vision they need long-distance glasses, but due to the onset of presbyopia they also need reading glasses. If you don't want to switch back and forth between two pairs of glasses, you can buy a pair of varifocals instead, with which you can see clearly and sharply at any viewing distance. But as the age-related vision system is slowly developing over many months and years, many people are asking themselves the question: when is the right time to buy these relatively expensive progressive glasses? What are the common eye defects and problems?